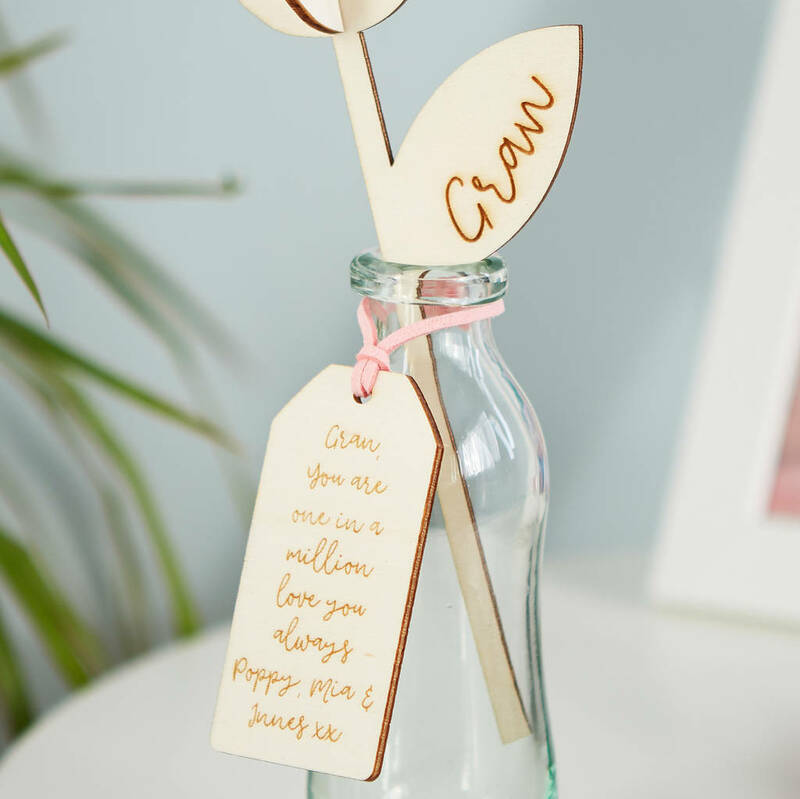 A personalised flower featuring your gran's name on the leaf and a special message on the tag. A gorgeous Mother's Day Gift for gran. 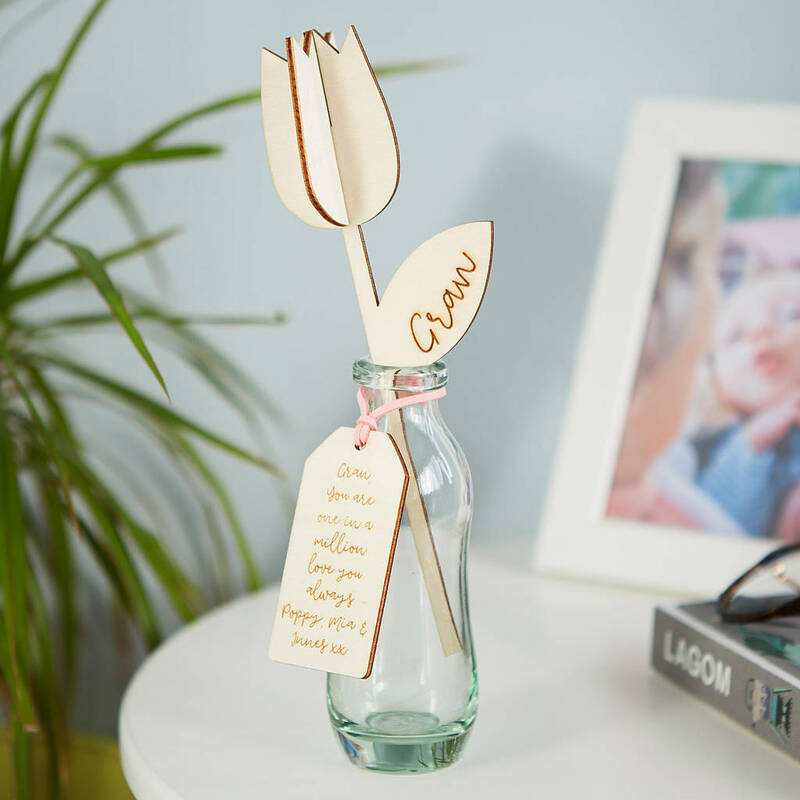 A laser cut tulip or alium shaped 3D wooden flower which can have have any message put on it for your favourite person on a special occasion. This mother's day gift idea says Gran and has a tag that says Happy Mother's Day but you can choose any wording you would like to appear on the flower (up to 20 characters) and we will etch it into the leaf of the daisy. A gift your gran really will want to keep for a long time! 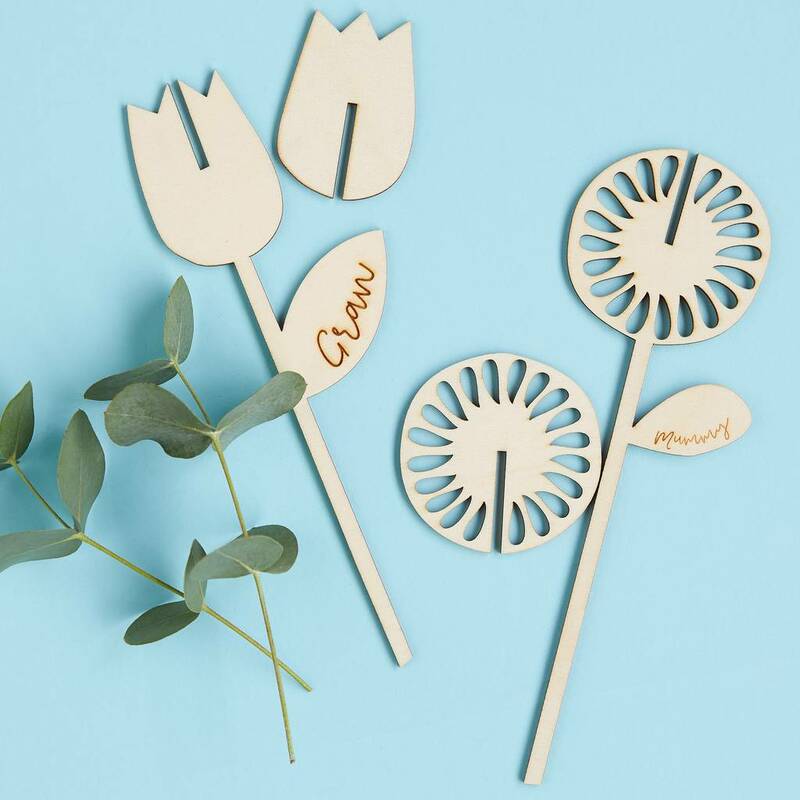 You can choose from either a tulip or an alium style wooden flower. 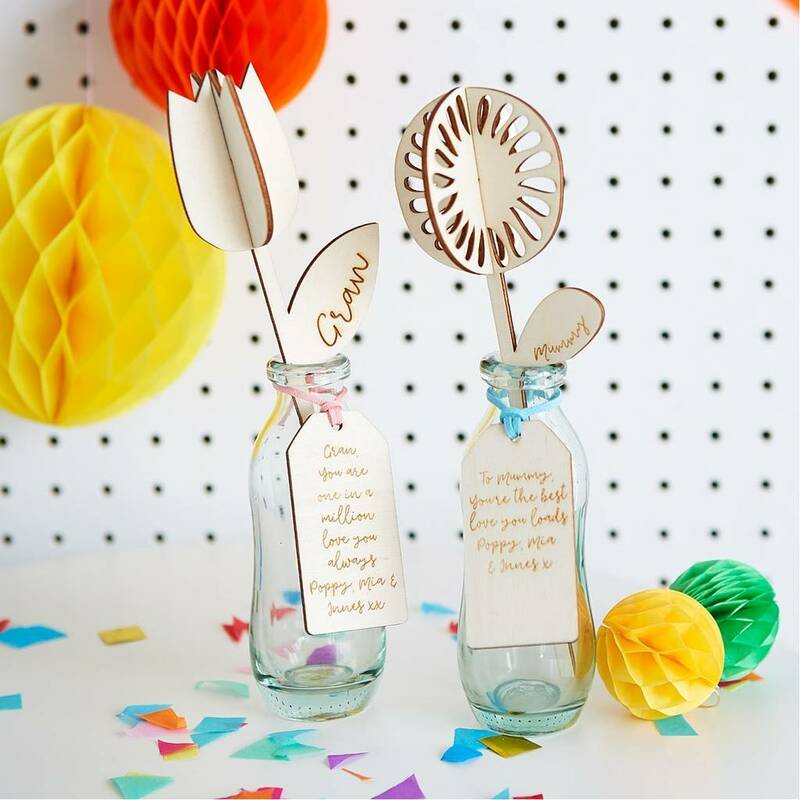 Each of the 3D flowers (you simply slot petals together) comes with a wooden tag which can also have a message on it and some lovely coloured cord. The flower and tag come to you ready to give in a lovely red string envelope and will be sent in a cardboard postal box to ensure safe delivery!